Specifically created for the handling of grapes, must and pomace. Its' unique design features tapered and star-profiled tines which allows for the easy piercing and gathering of grapes and pomace. The curved back aids in removing grapes and pomace from the bottom of tanks and vats. The tapered tines guide the matter into the rear of the fork allowing large loads to be moved without spillage. The material-facing surface of the tines is flat, not round, giving these tools superior handling qualities compared to anything else on the market - and it won't damage or scratch stainless steel tanks and vats! 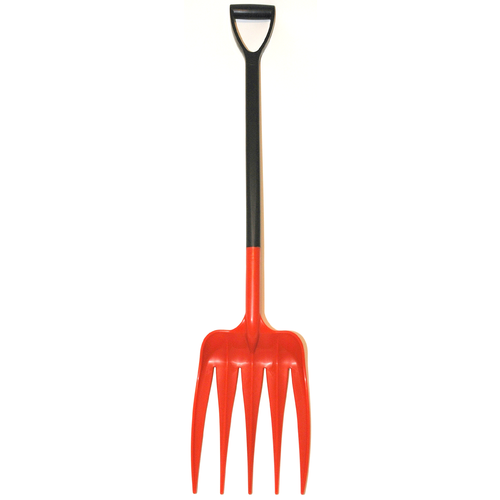 The Unifork is made of high-grade polypropylene which is virtually unbreakable and immune to rust or rot, and has been approved under FDA regulations for direct food contact. Works good. Easy to clean.